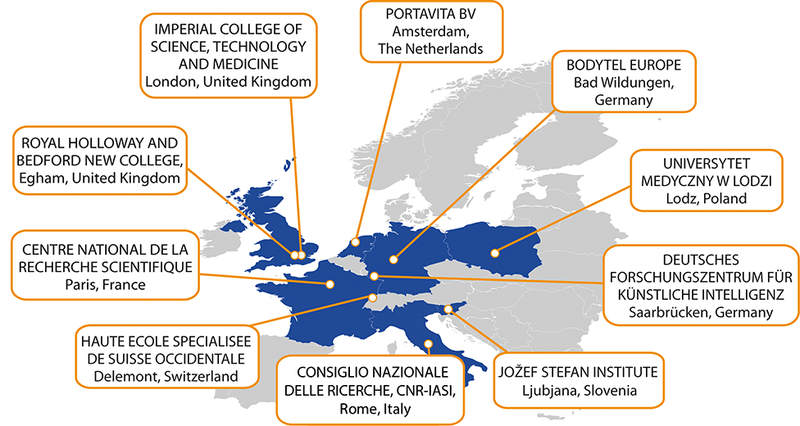 In cooperation with leading European universities, hospitals and companies, Portavita has been participating in the Commodity12 project since October 2011. The aim of Commodity12 is to develop an intelligent system that can analyse combined medical data. This will make it possible to provide more targeted medical information for the specific treatment of a patient. Data acquired through Continuous Monitoring. Use will be made of sensors that are attached to the patients’ skin and continuously pass on specific values to the system. The project organisation has specifically asked Portavita to provide its ICS, since the Portavita software is fully based on international standards such as HL7 and IHE. Since the data in the Portavita ICS are of extremely high medical quality, the Portavita project team has also been asked to provide anonymous data to investigate new options for treatment. Portavita will ask its customers for permission to provide these patient data, made anonymous according to International Protocol. The French CNRS will also add its knowledge of genetics to the project; the universities of HES SO (Switzerland) and Royal Holloway University of London will take responsibility for the Artificial Intelligence part; the University Imperial College (Great Britain) will collaborate with the Bodytel company (Germany) to design the sensors; the specialists of DFKI (Germany) will be deployed for security and compliance aspects. Finally, based on the acquired results, leading professors in the field of diabetes from Lódz Hospital in Poland and CNR-IASI in Italy will treat a number of patients during a pilot study. Our mission is to develop the best healthcare ICT; this European project offers us a valuable opportunity for that. Along with researchers and prominent diabetes specialists, we are pleased to work on improving the treatment. By translating the results of the study back to our software we can help our customers provide their patients with even better care! The project is partly financed by the European Commission within the framework of the FP7 program. The contact person is Olivier Marchesini, o.marchesini@portavita.eu.